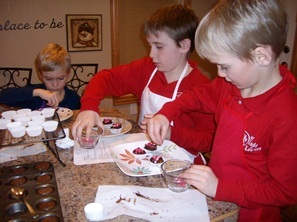 fun, interactive, hands-on cooking experiences. * Perfect for birthday parties and playgroups! of earning a Cook badge through Scout workshops. and a sense of accomplishment. and organize their work logically. encourage them to try different types of foods.